Watson Batty Architects has announced that is sponsoring eight-time Paralympic medal winner Claire Cashmore MBE on her road to compete in Tokyo 2020. The practice is backing Claire as she ventures from a hugely successful Paralympian swimming career to become a triathlete with hopes to reach a final games in Tokyo 2020. Claire entered the world stage as a swimming Paralympian at the age of 16 when she qualified for Athens and came home with 2 bronze medals. She achieved a bronze at the Games in Beijing and two silvers and a bronze in London 2012. She later appeared on Channel 4’s ‘Meet the Superhumans campaign, appearing on billboards and adverts speaking candidly about her disability, before achieving both silver and gold medals at Rio 2016. Claire, who is a regular motivational speaker about disability, achieving the impossible and mental health through sport, said, “I am so grateful for this sponsorship from Watson Batty which is kindly backing my transition and dreams to become a para-triathlete. 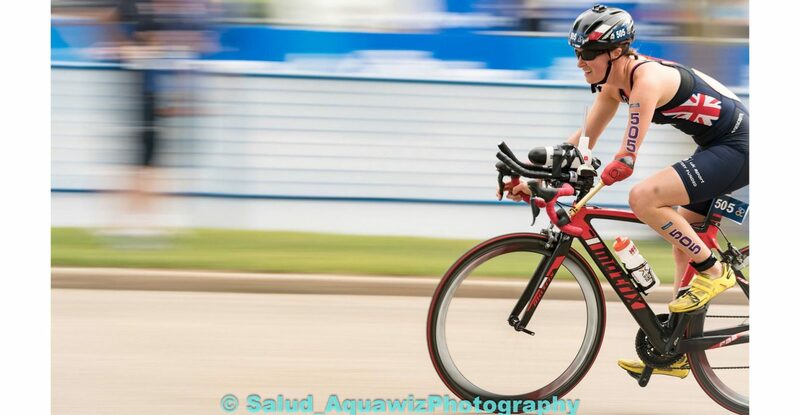 Since becoming a triathlete, Claire has seen positive results, winning the Altafulla ITU Paratriathlon World Cup last July and finishing sixth in the 2017 ITU World Triathlon Grand Final in Rotterdam. Andrew Grindrod, Director at Watson Batty Architects said, “We are delighted to support Claire as she embarks on a whole new challenge in her already outstanding career. Her work ethic and qualities shown at an elite level perfectly reflect our business aspirations with ‘Motivation’ and ‘Performance’ at the heart of the practice. Watson Batty Architects has extensive design expertise in the sport and leisure sector with a dedicated team across its national offices. It has completed wet and dry leisure facilities in the public sector including Washington Leisure Centre for Sunderland City Council and Newark Leisure Centre for Newark and Sherwood District Council. Other projects linking to the education sector include recently completed Dixons McMillan Academy, Hollybush Primary School and the award-winning Temple Learning Academy.